And there was also joy for Waterford Castle’s Walker Cup star Kevin Phelan, though he faced an anxious wait following a 72nd hole double bogey before learning he’d made it and avoided a five-man playoff for the last two spots in the six-round Final Stage, which begin at PGA Catalunya Resort next Sunday. Ballymena mateur Dermot McElroy will have to wait to discover his fate at Lumine Golf & Beach Club, where a second suspension in play for high winds called a halt to proceedings late in the afternoon. Ruaidhri McGee in action at Las Colinas. Picture courtesy https://twitter.com/gmacespanyaThe Ulster player, who was level par for his round with five holes to play and in with a chance of snatching his place alongside Phelan and McGee, must return to the course at 9am to complete his Second Stage ordeal. It’s a similar tale for Galgorm Castle’s touring professional Gareth Shaw, though the Lurgan man needs one of his best ever final performances as he goes into the weather-delayed final round at Valle Romano in Malaga a challenging six strokes outside the top 18 on level par after a third round 72. McGee, who was hugely impressive all week as he shot 67-70-67, closed with a level par 71 in high winds at Las Colinas Golf & Country Club in Alicante to claim seventh place on nine under par, six strokes adrift of winner James Heath. A former Faldo protege, Heath signed off with a 75 and was followed home by rising South African star Brandon Stone at a venue where the qualifying mark fell on two under par 282, with six players contesting a play-off for the last four places in the Final Stage. The Swedish duo of Oscar Floren and Joakim Rask emerged triumphant alongside German amateur Christopher Dammert and Spaniard Alfredo Garcia-Heredia, with France’s Michael Lorenzo-Vera and Germany’s Max Glauert the men to miss out – although they could still make the Final Stage as alternates, in the event of injuries or withdrawals. Royal Dublin’s Niall Kearney missed out by four shots on 286 after a 76 with Ballyliffin’s Damien Mooney (76) and Birr’s Stephen Grant (74) on 289. Former professional footballer Grant at least has another bite of the cherry at the Second Stage of the US Q-School, though he was still bitterly disappointed with his costly second round 78. Have a full set of Titleist clubs for sale - one careful owner. haha! There was a cheerier Irish story at Campo de Golf El Saler in Valencia where home favourite Carlos del Moral romped to victory by five shots after signing off with a round of 71 for an eight under par aggregate total. With 18 players progressing, there was a five-way play-off for the final two spots which went to Jerome Casanova and former European Open winner Matthias Grönberg at the expense of Christophe Brazillier, Chris Lloyd and Andrey Pavlov. That didn’t bother Phelan, who was left hitting the refresh button on the European Tour website after a closing double bogey six for a 73 left him on one over par 290. Initally tied for 20th, just outside the qualifiers, he was relieved to see the field backwards - just one player broke 70 - and in the end he made it by two shots. There was no luck at the same venue for Glasson’s Colm Moriarty as a 75 left him four shots outside the play-off mark on seven over 295. Rathmore’s Alan Dunbar, crippled by a second round 80, was 47th on 301 after a closing 75. Ruaidhri McGee. 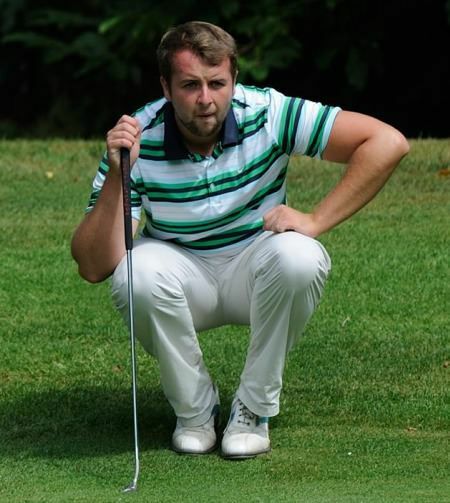 Picture courtesy www.europrotour,comRosapenna’s Ruaidhiri McGee got his European Tour card bid off to a sizzling start with an immaculate six under 66 in the First Qualifying Stage at Wychwood Park near Crewe. Dermot McElroy, pictured during the Irish Amateur Open at Royal Dublin. 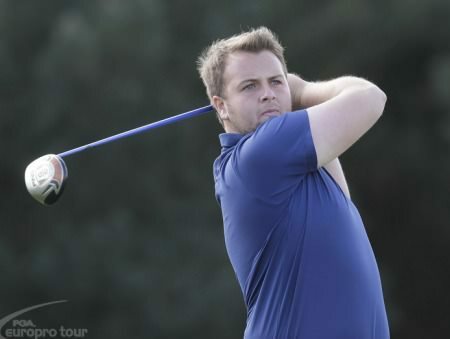 Picture: Eoin Clarke www.golffile.ieBig numbers seriously damaged the hopes of Stephen Grant, Alan Dunbar and Brendan McCarroll but Ruaidhri McGee, Dermot McElroy, Gareth Shaw and Damian Mooney all made positive moves with rounds in the 60s at the Second Stage of the European Tour Qualifying School in Spain.